Crews with the Santa Barbara Harbor Patrol were able to rescue a malnourished California sea lion pup who wandered into the streets. 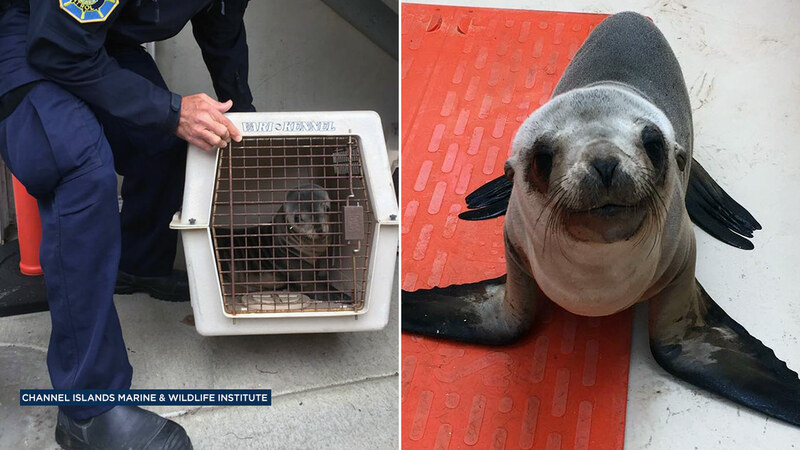 SANTA BARBARA, CA -- An adorable sea lion pup was rescued in Santa Barbara after officials said he wandered into the middle of a street. The California sea lion managed to make its way to Cabrillo Boulevard near Stearns Wharf, the Channel Islands Marine & Wildlife Institute said in a Facebook post on Sunday. Crews with the Santa Barbara Harbor Patrol were able to rescue the pup, who officials said was malnourished.